Our roof lanterns capture a beautifully modern aesthetic that can enhance any property style, both modern and traditional. Utilising an exceptionally sleek frame, our roof lanterns offer slimmer sightlines for increased views and enhanced natural light allowance. 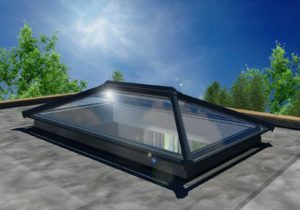 Available in a range of sizes and fitted by our expert team, we’ll be able to fit our roof lanterns into your home hassle-free. 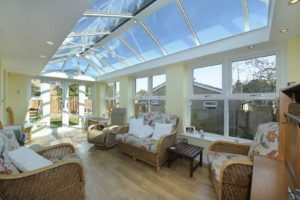 Our high quality roof lanterns allow you to enhance your conservatory or orangery with an addition that combines both function and form. 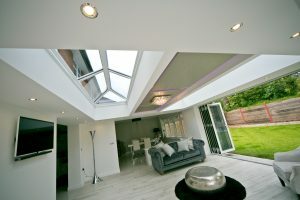 We work with leading roof lantern manufacturer Ultraframe to offer you the latest roof systems. Our market leading roof lanterns are specially designed with a high vaulted, glass ceiling to offer a feeling of brightness and spaciousness transforming your living area, wherever they are installed. We offer the outstanding UltraSky design from Ultraframe to guarantee build quality and high performance. This design excels across the board in terms of security, thermal efficiency and aesthetic, offering you more for your money. Available in both uPVC and aluminium, our roof lanterns are incredibly versatile in their applications. This means you can bespoke their design to your property, ensuring the perfect fit and optimum performance across the board. The aluminium roof lantern design that we offer achieves a standard of thermal efficiency that is 50% more efficient than alternative aluminium roof lantern options. Enjoy a warmer conservatory or orangery, year-round. To ensure you get the perfect fit for your property, we offer a range of sizes for you to choose from. This includes builds as big as 6m long with a 4m projection. Our team of fitters will ensure your new roof lantern is fitted to the highest standards. To increase the ventilation of your roof lantern in hot weather, you can opt to have a roof vent fitted. These vents are available with an automatic opener, manual opener or an automatic opener with rain and temperature control. Capture a pristine, fresh aesthetic with our white uPVC roof lanterns, perfectly complementing your modern windows. Alternatively, you can choose from a range of colours across our aluminium roof lantern, including ‘White’, ‘Anthracite Grey’ or ‘Satin Black’. We also prepare beautiful mitred corners across our aluminium range for a premium finish. 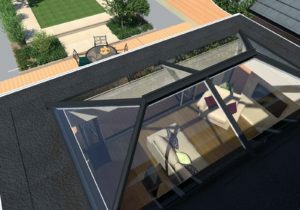 To reduce heat loss and dampen noise pollution, we install high quality glazing across our whole roof lantern range. This means that the heat from you central heating will stay in your home where you want it, whilst unwanted noise will remain on the outside. Get in touch with us via our online contact form to get a free and highly competitive online roof lantern quote. We’ll tailor your quote to your requirements to ensure you get a price that is perfect for you. Alternatively, our online contact form will allow you to speak to a member of our team. We’ll be more than happy to help you with any questions you may have regarding our roof lanterns, prices or other services.